The Kremlin has called on investigators and courts in Russia to stay within reason when prosecuting social media users for content they have posted online. “Of course, it is impossible to use general phrases here as each case is unique and needs a separate investigation … But, of course we know that there have been cases that have gone beyond the bounds of reason,” President Putin’s spokesman Dmitry Peskov told journalists on 14 August, Interfax news agency reported. 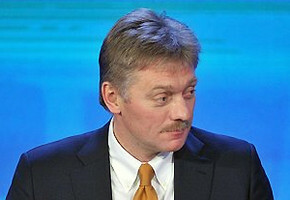 Peskov recalled that during his annual Direct Line phone-in on 7 June, Vladimir Putin had also said that common sense should be used when treating each case of alleged social media misuse. Peskov’s remarks come at a time of growing concern in Russia about the rise of criminal prosecutions against social media users who are being accused of extremism. On 13 August, Russian social network VKontakte (VK.com) announced new privacy measures to safeguard against “unjustified prosecution for publications on the internet” (https://monitoring.bbc.co.uk/product/c2005btf). Several prosecutions have occurred in recent months in which Russian social media users have faced years in jail for reposts or adding likes to posts.